This dish brings bags of flavour to the traditional roast chicken. Served with a spicy green chutney and zesty salad of green beans and peas it is perfect for impressing at a dinner party. 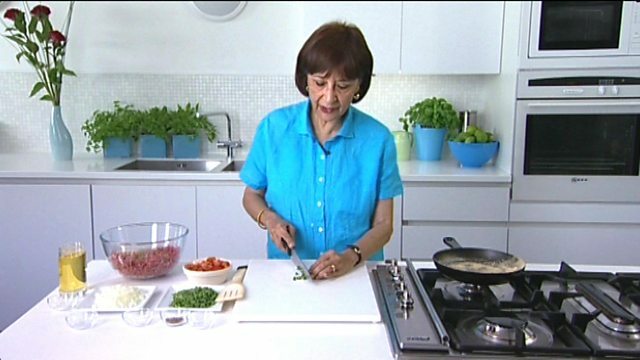 For this dish you will need a blender to make the chutney. Place the ginger, garlic, cumin, curry leaves and oil in a bowl and mix. 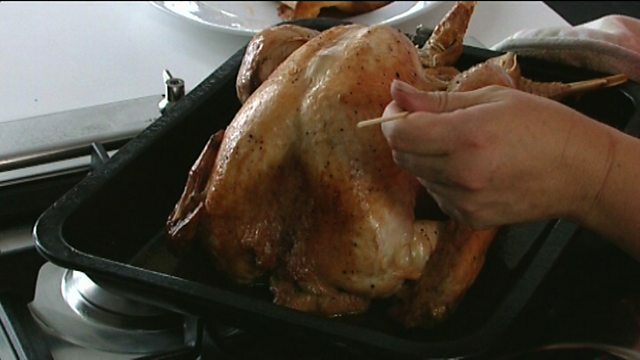 Smear all over the chicken and place in a lidded ovenproof dish. Add the remaining spices and pour in enough water to come a third of the way up the chicken. Cook the chicken for 1 hour, then remove the lid and cook for a further 15-30 minutes, or until the chicken is cooked through. Meanwhile, for the green chutney, place all the ingredients except for the yoghurt in a blender and blend until smooth. Stir the blended herb mix in to the yoghurt. Remove the chicken from the dish and strain the sauce in to a small pan. Add a little of the green chutney to the sauce and cook for 2-3 minutes. For the salad, bring a large saucepan of salted water to the boil. Blanch the French beans, broad beans and peas. Drain and place in a large glass bowl. 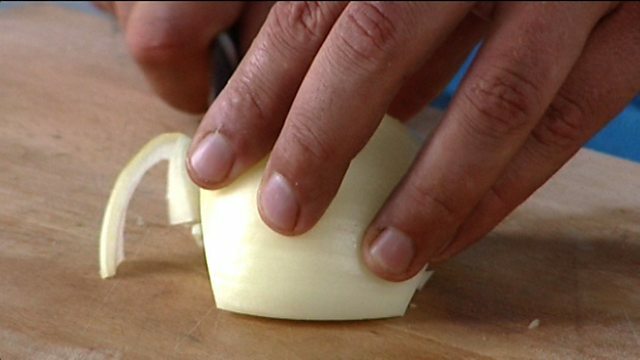 Add the fresh herbs and onion and toss together. Dress with a the olive oil, lemon juice and salt and pepper. Put the chicken and sauce in a serving bowl and serve with the salad and chutney.